This short piece was originally written for low voice and piano as one of a series of studies by contemporary composers for use in voice classes at the Paris Conservatoire. It was subsequently arranged in various instrumental versions, including one for saxophone and piano, under the title Pi�ce en forme de habanera. 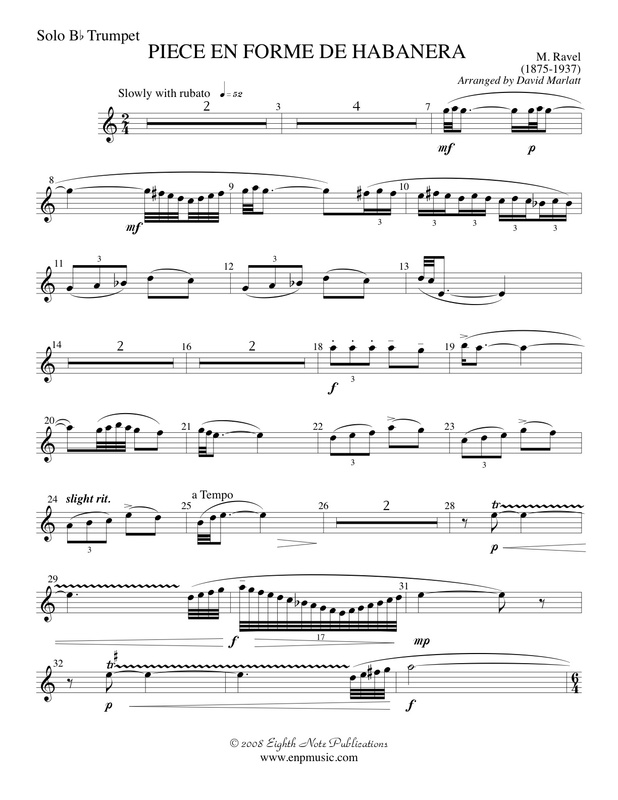 Solo parts have been provided for Flute, Oboe, Clarinet, Alto Saxophone, Trumpet and Bassoon/Baritone.